We see the former superintendent of Piston Peak National Park in his new job as greeter at Death Valley National Park. Also during the credits, the various characters fly by as the credits scroll up the screen. The smokejumpers crew comes out and push away the last line of the credits. NOTE: Dedicated to the courageous firefighters throughout the world who risk their lives to save the lives of others. 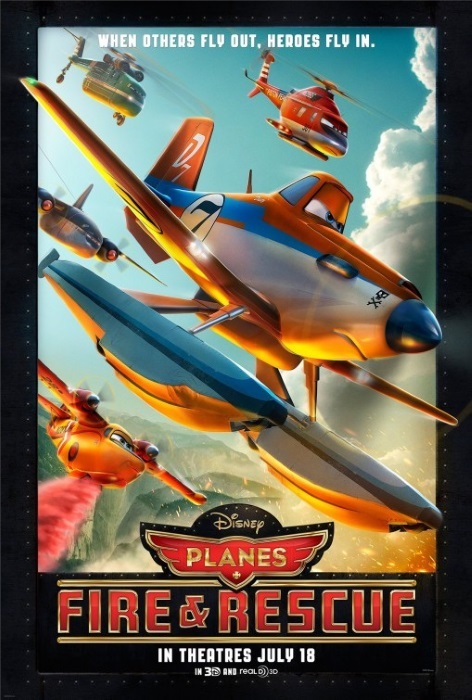 Was seeing Planes: Fire & Rescue in 3D worth the cost?